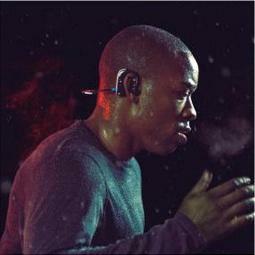 Train, play and live unleashed with Pump, the ultimate multi-sport wireless headphone. A rugged, military-grade design keeps water and debris out, protecting the premium audio components tuned to let the beat set the pace. No matter how hard you go or how tough the conditions, move with freedom and confidence and let nothing limit where the music takes you. 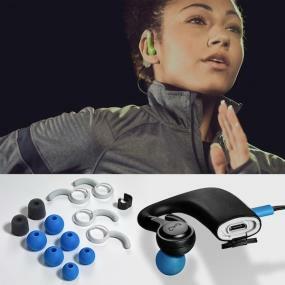 PUMP redefines Bluetooth audio, creating an audiophile-grade music experience that cannot be matched by wireless rivals. We call this breakthrough experience: Energize HD Audio. Teflon coating and Kevlar shielding block water, salt, dust and sweat from entering the Pump, making it more rugged and longer lasting. With Pump's Superfit System, no matter how hard you go, they won't budge. They stay with you during rigorous activity, allowing you to train and play with complete freedom and confidence. Pump’s lightweight design, consisting of a soft rubberized casing, prevents chafing behind and inside the ear during intense movement. Combined with ComfortSeal and Awareness tips that reduce listening fatigue and allow you to stay in tune with your surroundings, the ergonomic design provides a natural feel that compliments the head instead of competing with it. 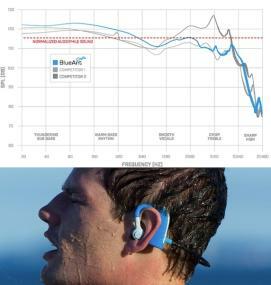 With best-in-class wireless range, Pump allows you to train untethered up to 100 feet away from your Bluetooth enabled device. And with up to eight hours of continuous battery life you are free to train without the worry of the music stopping in the middle of your workout.